The Board of Directors of Pininfarina met this morning for the first time since the of Andrea Pininfarina and announced that his brother Paolo Pininfarina has been appointed Chairman, two years after he took up the Deputy Chairman's job. Upon a motion by Lorenza Pininfarina, the Board of Directors of Pininfarina S.p.A. unanimously elected Paolo Pininfarina Chairman of the Board of Directors. The Board of Directors also appointed Lorenza Pininfarina Provisional Deputy Chairperson and coopted and appointed to the Board Silvio Angori and Gianfranco Albertini, Chief Operating Officer and Chief Financial Officer of Pininfarina S.p.A., respectively, who accepted. The Board of Directors then agreed to assign authority over the Group’s design operations and Pininfarina Extra to Paolo Pininfarina, the Company’s Chairman, and over the Group’s communications to Lorenza Pininfarina, the Provisional Deputy Chairperson. In addition, the Board of Directors granted to Silvio Angori authority over all operating activities, including the implementation of the industrial plan and oversight over all Group companies with the exception of Pininfarina Extra, while confirming his assignment as General Manager. Lastly, it granted to Gianfranco Albertini authority over finance and accounting, while confirming his assignment as Chief Financial Officer. The Board of Directors reserved the right to decide jointly any issues of special significance for the Group. In addition to the abovementioned Directors, the Board of Directors includes, Sergio Pininfarina, Honorary Chairman, and Elisabetta Carli, Mario Deaglio, Edoardo Garrone and Carlo Pavesio. Born in Turin on August 28, 1958. After graduating in Mechanical Engineering at Turin Polytechnic he began his career in Pininfarina in 1982 and in 1983 gained experience working at Cadillac in Detroit, USA, and then in Japan with Honda. From 1984 to 1986 he was Quality and Reliability Manager for Cadillac's Allanté project. From 1987 to 1989 he was Program Manager at General Motors for the Engineering GM 200 project. In 1987 he was appointed Chairman and CEO of Pininfarina Extra S.r.l., a Pininfarina Group company operating in the industrial, furnishing, architectural and nautical design sectors. 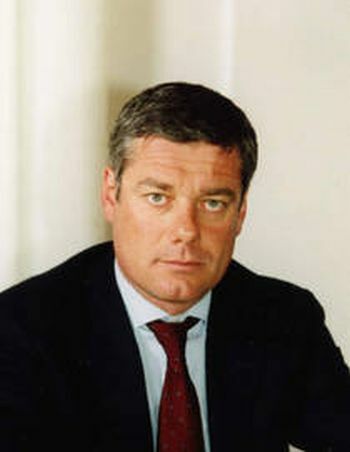 On May 12, 2006 he was appointed Deputy Chairman of Pininfarina S.p.A. On August 12, 2008 he was appointed Chairman of Pininfarina S.p.A.
At the Pininfarina S.p.A. parent company he became a board member in 1988, from 2002 he has been a member of the Steering Committee and, again starting 2002, in his capacity as the head of the Quality System Department he contributed to the award of ISOTS/16949 certification to the Company, which took place in July 2003. From 1999 to 2004 he has been a member of the Scientific Committee of Turin's European Institute of Design. In 2001 he became "Emeritus Participating Founder" of the ADI Foundation for Italian Design. Under his management, in a twenty-year period Pininfarina Extra has developed over 300 projects and has consolidated relationships with prestigious international companies like Alenia Aeronautica, Jacuzzi, Lange, Lavazza, Gancia, Motorola, Primatist, Snaidero and 3M.